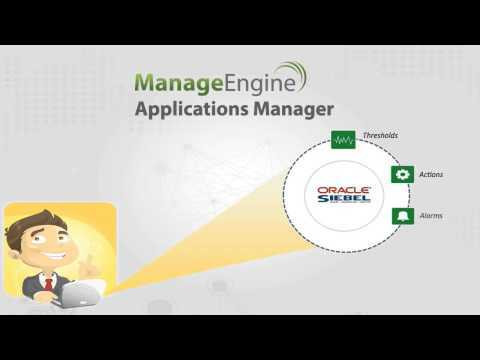 ManageEngine Applications Manager is a comprehensive, affordable application performance monitoring solution. It can be used by SMBs as well as large enterprises to provide widespread support for servers, databases, middleware, cloud applications and more. Apart from traditional infrastructure monitoring, this product also supports deep dive performance analysis of new-age, enterprise ready applications. It also provides seamless user experience via transaction monitoring by tracking code level diagnostics and Apdex scores. Users get to view all the important monitoring parameters on a single graphical console. They can configure alarms to receive proactive alerts and view detailed reports. Applications Manager efficiently manages troubleshooting time, by quickly detecting the main cause of any issue, and immediately alerts the admin of an impending problem. Applications Manager’s testimony as an effective, one-stop monitoring solution lies in its loyal customer base (over 3000 customers). Some of them include CIMB Bank, Great Lakes Energy, PEI Provincial Government, Intra Links, GoDaddy.com, Hallmark, CDS Global, Carnival Cruise Lines, etc. ManageEngine is cheap to install and use Easy asset management and auditing. Simple and straight foward service request processes. Great business processes automation. ManageEngine Applications Manager was easy to install , use and no training was required to get our monitoring software started. It is a multipurpose monitoring tools for client applications, fundamental foundation parts,such as application servers, databases, huge information stores, middleware and informing segments, web servers, web administrations, ERP bundles, virtual frameworks and cloud assets. ManageEngine Applications Manager was easy to install , use and no training was required to get our monitoring software started. It is a multipurpose monitoring tools for client applications, fundamental foundation parts,such as application servers, databases, huge information stores, middleware and informing segments, web servers, web administrations, ERP bundles, virtual frameworks and cloud assets. I can able to monitor all the cloud services. We have huge list around this product.1. User friendly and we can customize this product as per our requirement. I did some customization for mongodb with the help of APM team and which is supports my requirement. 2. Sequential improvement on product. 3. New Features. 1. User friendly and we can customize this product as per our requirement. I did some customization for mongodb with the help of APM team and which is supports my requirement. 2. Sequential improvement on product. 3. New Features. It efficiently monitors performance of my database server.ManageEngine Applications Manager allows me to monitor the efficiency and progress of my database servers. This software is up for the challengeEasy to use and easier to install. The installation and start-up of Applications Manager was done in less than 3 days. We have department of all sizes and it's great for each one. Users get to have a Free 30-day trial, after which they move to the Freemium Edition. Manage Engine also offers Professional (For SMBs) and Enterprise Editions. The Professional Edition starts at $795/year and the Enterprise Edition starts at $7995/year. •	Faster troubleshooting with advanced root cause analysis options. Below are some frequently asked questions for Applications Manager. Q. What type of pricing plans does Applications Manager offer? Q. Who are the typical users of Applications Manager? Q. What languages does Applications Manager support? Q. Does Applications Manager support mobile devices? Q. Does Applications Manager offer an API? Yes, Applications Manager has an API available for use. Q. What other apps does Applications Manager integrate with? Q. What level of support does Applications Manager offer? Q. Which apps is Applications Manager compared to most often?